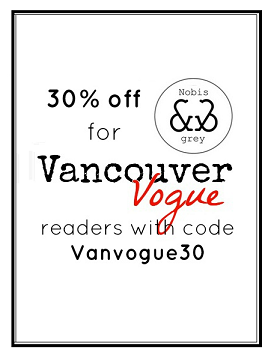 Vancouver Vogue: Thrifty Thursday is Back! I know it's been a long time since I've done a Thrifty Thursday post, but don't worry, I haven't stopped thrifting! I'm going to be bringing this back as a weekly post again, catching you up on what I've found recently, and showing you what I find in the coming months. Since I have recently moved, I'm looking forward to checking out some new thrift shops and finding some amazing new treasures! How could I pass up on this cozy little jacket? Oddly enough, it's cut like a moto jacket, but has the warmth & thickness of a winter coat, although the suede and fur are both faux. In winter, it's all about the layers, and right now, oversized sweaters and coats are the the biggest trend for staying warm. I love that this one is in a classic camel colour, and has a waterfall hemline to it. Pretty and cozy! I've never heard of this brand before, and I can't find it anywhere online, but this shirt is comfy as hell!! Not only that, but it fits perfectly. I really love the deep V neckline and the slightly ruched shoulders; for once, I don't hate a button-down type shirt!